Brew Pineapple Potion tea in 1 cup of water. Continue steeping while it chills. Brew Limoncello tea in 1 cup of water and chill. Do not over steep or it will be bitter. Once teas are chilled, add ice to 2 tall glasses. Pour Limoncello tea over ice, filling glasses half way. Add about 1/4 cup of Pineapple Potion tea and sweetener (if using) to each glass. 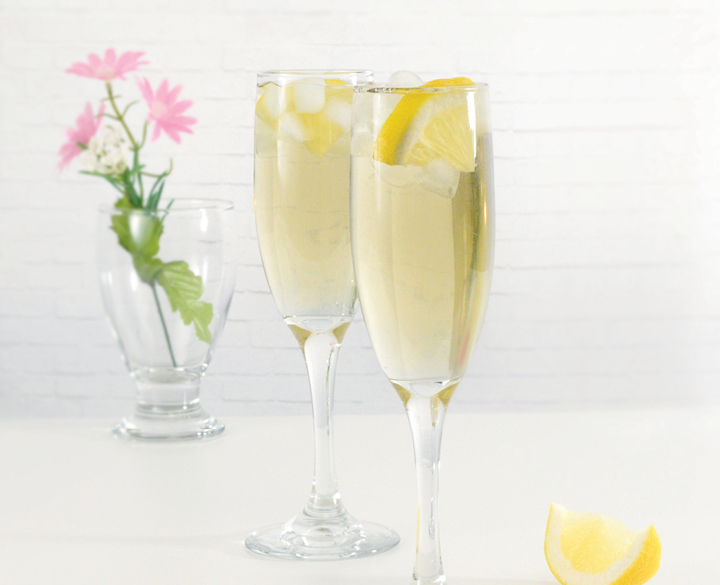 Add a splash of sparkling water and garnish with lemon wedges.